It's the stuff of legend and of songs — April in Paris. Paris in the springtime. There's something special about being in Paris as the weather warms up, the days get longer, and the first flowers start to bloom. It's a time to store your winter coat, get outside, and take in all the city has to offer. Here are our ten top suggestions for activities that get you started doing just that — what to do in Paris in the spring. 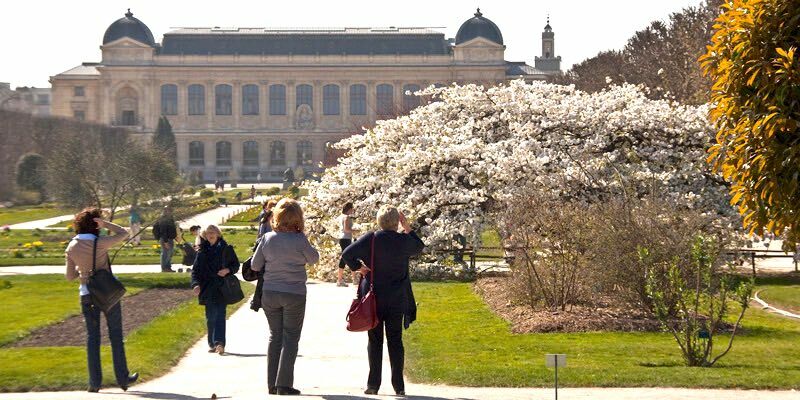 The luscious Jardin des Plantes should be on every visitor's springtime list. The pathways and allées are crowded with shrubs, flowers, and trees in early bloom. But to our mind the most iconic is the large tree with snow white flowers. The best view is from the pathway that comes in from the Pont d'Austerlitz entrance, with the Grande Galerie de l'Évolution in the background. After the overcast skies and short days of winter, a bright day in late March or early April magically draws Parisian to visit this harbinger of better days to come. "Snow white" is the perfect descriptor for this flowering tree. In case you're interested, this is a cherry tree of the Japanese Prunus group called Shirotae, which means "snow white" in Japanese. It's not one of the tallest trees in the jardin, at something under 4 metres tall (less than 13 feet), but it has a circumference of 18 metres. The photo above is from March 27, 2012. This is what might be called a no brainer. 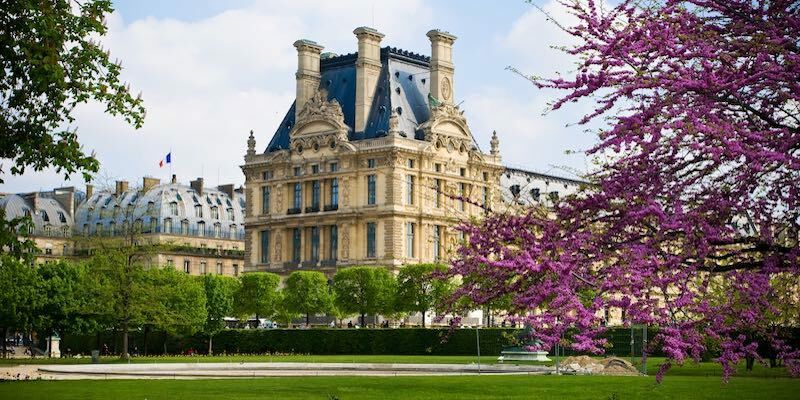 In the spring, from March 21 onwards, the parks in Paris come to life, day by day, leaf by leaf. It's a glorious feeling to stroll in the sunlight along the tree-lined pathways seeing the fresh green shoots reaching out. Just about any park will do, but this is a great time of the year to take in the Big Two — Jardin des Tuileries in the 1st Arrondissement and Jardin du Luxembourg in the 6th. 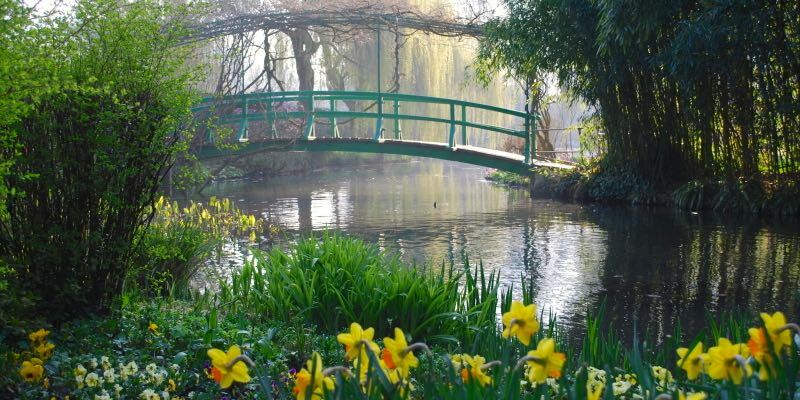 An hour from Paris, at Giverny, the famous gardens of Claude Monet also come alive starting in late March. Gardeners are busy getting the plants, pathways, and lily pads in shape for springtime visitors. It's an easy day trip from Paris, and the link below takes you to travelers' favorite way to get there. Even more popular, though, is an activity that combines Monet's gardens at Giverny with a visit to the gardens & chateau of Versailles — all in the same day. This small-group tour picks you up at your Paris address and includes lunch as well as the services of an expert guide. "Versailles and Giverny were fabulous destinations, and our small group tour was a great way to go," reads a typical traveler review. It's also available as a private tour. The Giverny tour season starts around March 27. 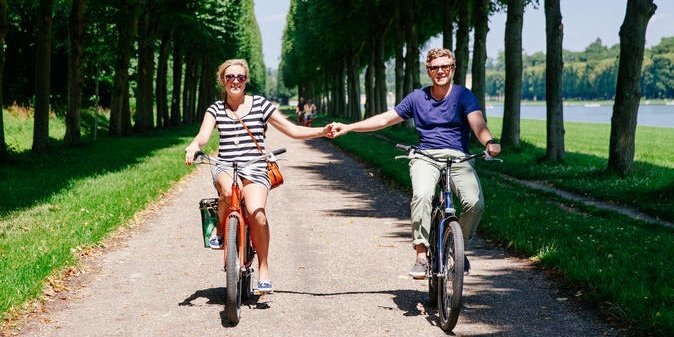 Another glorious springtime activity is a bike tour of Versailles. The gardens are both wonderful and huge, and this biking activity allows you to see much more than you would on foot. With your guide you hop on the RER train in Paris for a 30-minute trip to Versailles, where your bikes await. Stopping first at the local open-air market to buy provisions for your picnic lunch, you follow your guide through the magnificent gardens of the royal estate. You picnic at the spot the Sun King, Louis XIV, sat to admire his real estate holdings. 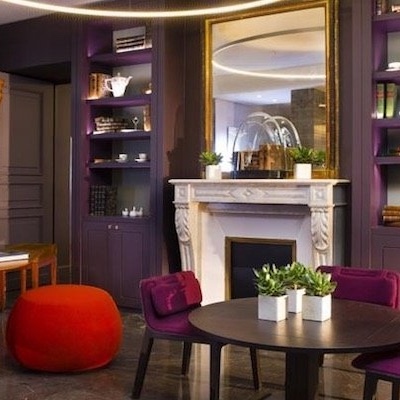 In the afternoon you have priority access to the chateau where you marvel at the Hall of Mirrors, the King's Chapel, and other amazing rooms. It's a long and fulfilling day that you won't soon forget. 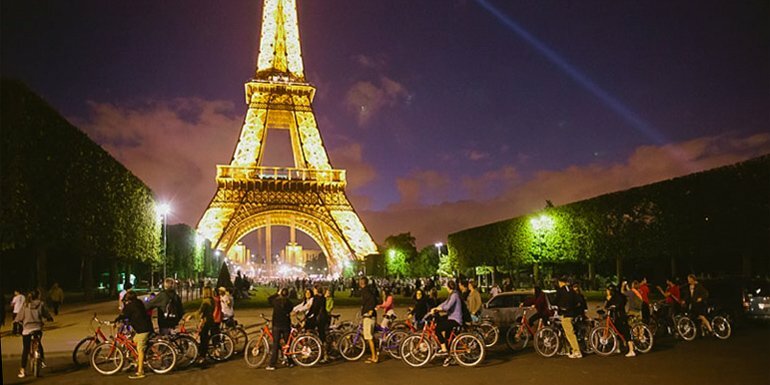 Speaking of bike tours, this mega-popular night bike ride through Paris starts up again in spring. After spending the day walking in the glorious sunshine, spend the evening on two wheels seeing the best of Paris while you learn facts and stories about Paris that you've never heard before, thanks to your expert guide. This is four hours of wonderful fun in the Paris nighttime. 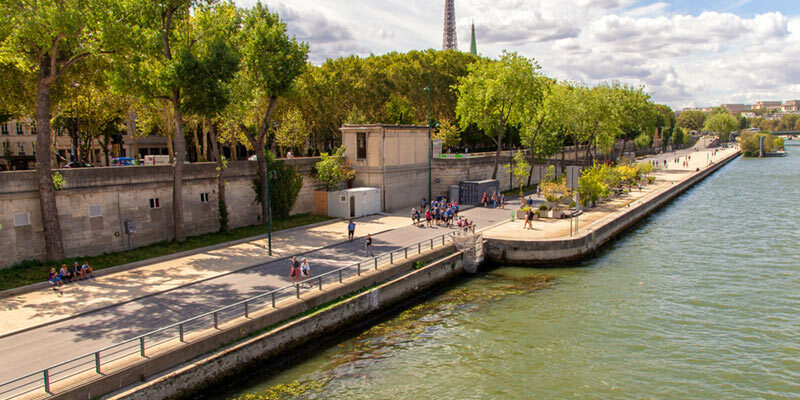 You get to see Notre Dame Cathedral, the Eiffel Tower, the Paris islands, La Sainte-Chapelle, ride through the Latin Quarter, stop for ice cream at Berthillon. 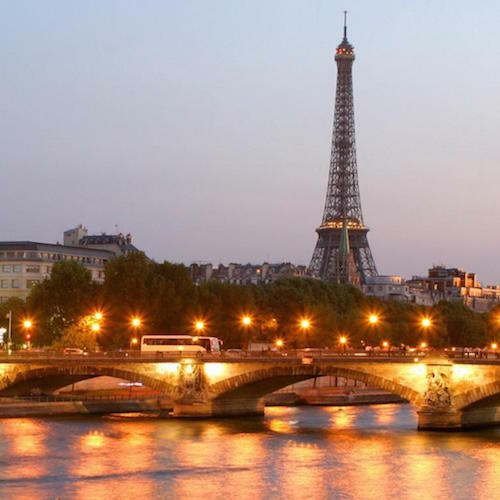 You top off the evening with a boat cruise along the River Seine where you'll see the best of Paris drift past, while sipping on a glass of wine, of course! We recommend the 6:30 PM tour. Paris, springtime, a glass of wine — how can those not go together? 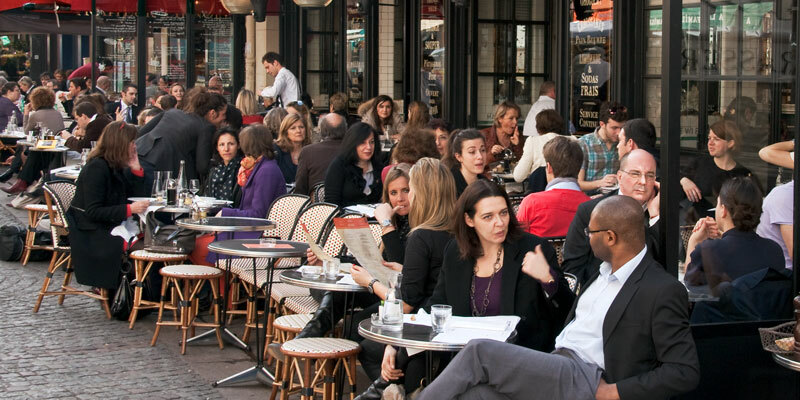 Bring out your inner Parisienne and join locals in the spring sun at a sidewalk cafe. As soon as there's a sliver of sunlight, Parisians crowd the sidewalks outside their favorite cafes to revel in in the weather, the city, and tout la monde strolling by. This is the time to be out in the sun, not sitting inside. If you've ever wondered what it would be like starring in a movie set in historic Paris (and who hasn't, really?) this is one way to find out. 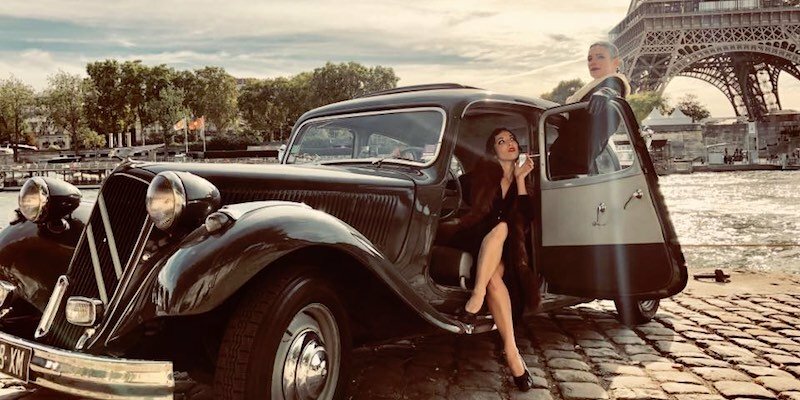 A "gentleman driver" pulls up to your Paris address in a sleek, 1940s vintage Citroën Traction Avant, its long lines reminding you of another era. 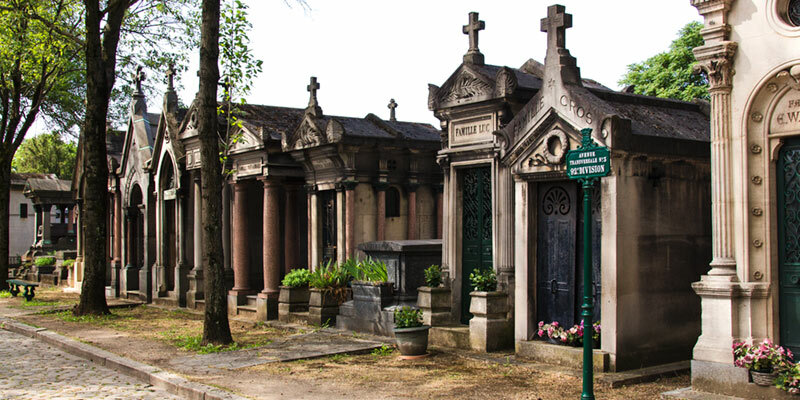 Combine the joy of being outdoors in Paris in spring with a fascinating visit to the graves of famous and infamous Parisians, with an expert guide to make the experience even more fascinating. Unexpectedly, this turned out to be one of the best walking tours we've ever been on in Paris. "Unexpectedly" because… well, it's a cemetery. "Best" because it's a fascinating place filled with the final resting places of thousands of historic persons and the guide was superb. The trees along the river Seine are sporting new yellow-green leaves. There's the lovely smell of buds and new growth in the air. The iconic buildings and monuments that line the river banks are ready for viewing. And there's a huge ice bucket crammed with bottles of champagne waiting for tasting. That's what springtime in Paris is all about! 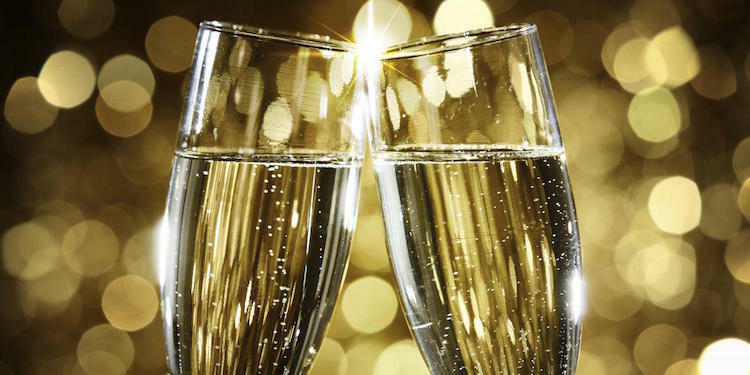 This combination sightseeing river cruise and champagne tasting is led by an experienced sommelier who takes you through a guided tasting of three different types of champagne, helping you appreciate the differences and learn which of the bubblies you like best. The tasting happens during a VIP river cruise where your elite group has a private room at the front of the boat (for the best views) as well as an outdoor deck. In our experience there is no shortage of champagne either. Don't worry, someone else is driving the boat. Highly recommended.